The R.I.P Shad Curly Tail from Storm is a rubber lure with a big, seductive curly tail in the back that drives the pikes crazy. The R.I.P Shad Curly Tail from Storm is a rubber lure equipped with a really big and wide curly tail that gives the lure it's extremely seductive movement - it shakes it's body and head from side to side while the tail in the back is fluttering all the time, even at extremely low speed. 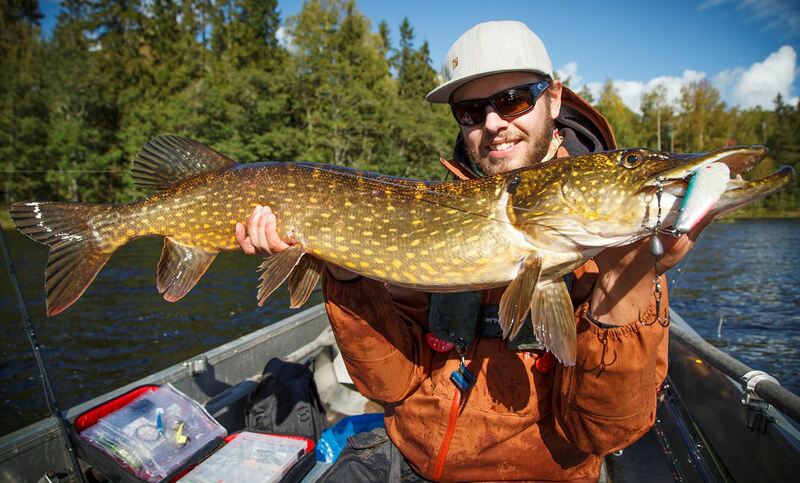 The Wacky Whitefish color was designed by Edvin Johansson from Fishing with Edvin & Philip. He wanted a natural color that would trick the pike even in the clearest lakes and in waters where the pike are very selective about their food. 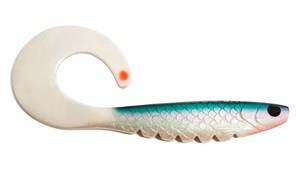 Works perfect with both Flexhead Pike heads or a shallow screw for shallow fishing equipped with a BFT Shallow Stinger. 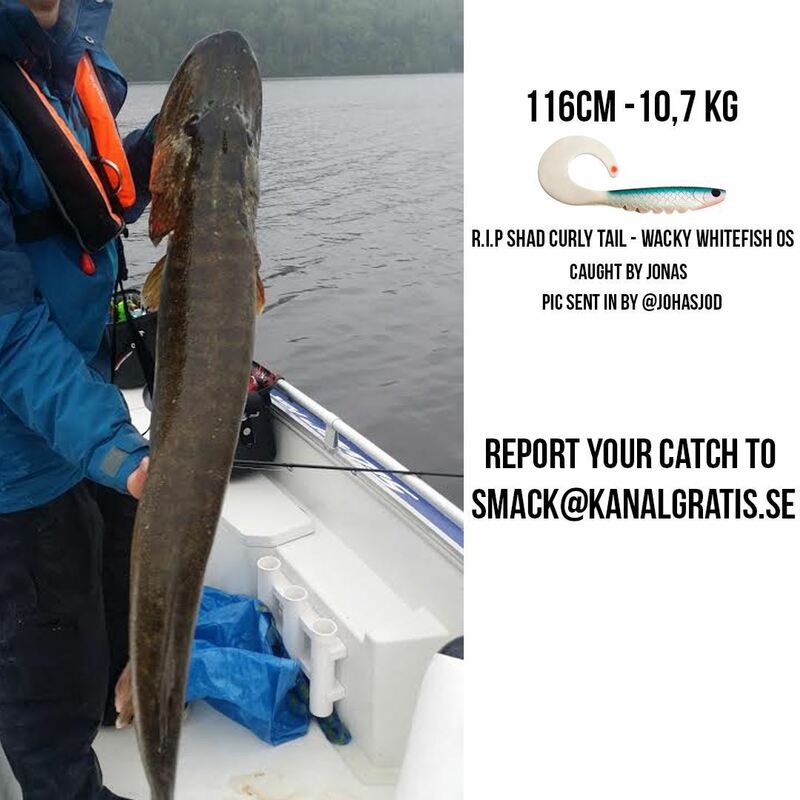 22 cm (around 30 cm with the tail outstretched), 82 gr.